Cream together shortening, butter, and sugar until light and fluffy. Mix together dry ingredients and blend into creamed mixture. Cover and let chill for one hour. While chilling, put the candy canes in a bowl and crush them with a hammer, or the more sanitary end of a rolling pin. On a lightly floured surface, roll out dough to approximately 1/8” thickness. 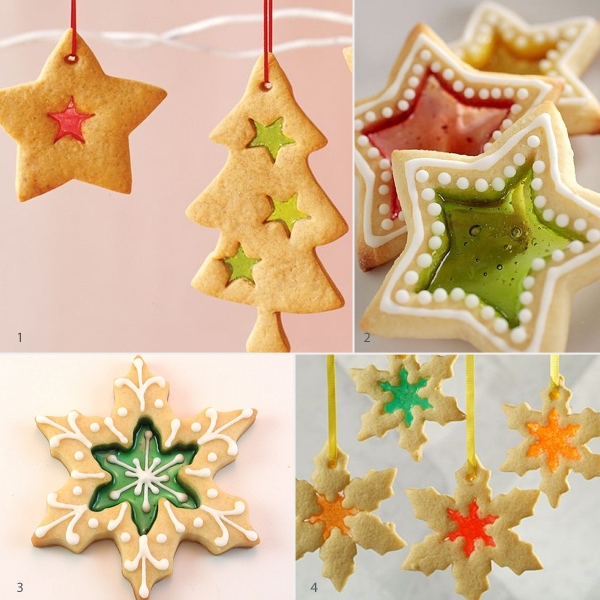 Using a cookie cutter, cut the dough into shapes. Using a small, round, cookie cutter, make a cutout (a hole) in the centre of each cookie. Place cookies on a baking sheet that is covered in foil. Place broken candies in the cutout of the cookies. Bake in oven for 7-9 minutes. Let cool completely on baking sheets before removing the cookies from the foil.